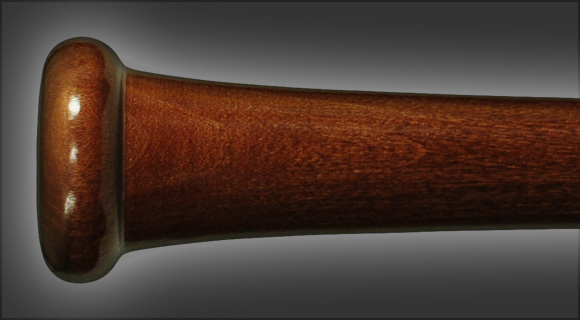 The Model 16VT is a very thick handled big barreled bat with exceptional balance. The shape is similar to an R161 but with a 1/4” thicker handle.The very thick 1 1/4" handle, conventional knob and 2 9/16" barrel make this a bat favored by both power hitters who like thicker handles and contact hitters who like the balance and bat control. Best bat I have used and I have tried many brands. Ball seems to have more exit velocity when I use this bat at 34 inch -2. Nicely balanced. 77 1 Best bat I have used and I have tried many brands. Ball seems to have more exit velocity when I use this bat at 34 inch -2. Nicely balanced.